For many people, buying their first home is a rite of passage and ownership is part of the American dream. And while many excited hours are spent planning interior color schemes, choosing new furniture and dreaming of moving day, many first-time buyers spend equal amounts of time fretting the home buying process. Let’s face it, if you’ve never purchased a home before, the prospect can seem a bit overwhelming. There are many decisions to make… we’d encourage you to take advantage of our experience and allow us to assist you in making the most informed decisions you can, every step of the way! Buying a home is likely the largest purchase you will ever make. Having a representative you can trust to help you through the process is essential. Unlike a listing agent whose first duty is to the seller, your buyer’s agent will work exclusively for you. Plus, their fees are paid out of the seller’s agent’s commission payment so their services come at no cost to you and you won’t have to pay anything for their services! What a deal! It takes a team to execute a successful transaction and your buyer’s agent will also assist you in referring you to other trusted service providers such as: mortgage brokers, inspectors, insurance agents, appraisers, contractors, etc. all who will work on your behalf and in your best interest. They will also help you shop for a loan and guide you through the mortgage process, this starts with identifying the type of loan that will best serve your needs and ends in selecting the best loan offer. In the world of real estate, it may be easy to think everyone carries more weight than you in the process, especially if it’s your first time. But the truth is that the consumer is the most important person in the process. If you decide not to buy, the entire process stops. So flex your consumer muscle. Demand good representation, whether it is your builder, your Realtor, or your mortgage lender. Make sure your questions are answered and that you fully understand each step in the process. Information is essential. Being an educated consumer puts you on the best track when you do start searching for a home in Columbus OH. For example, many first-timers mistakenly believe that it’s cheaper to rent than buy, failing to factor in the tax benefits of homeownership. First-time home buyers often have concerns about down payments, however, with PMI or Private Mortgage Insurance, large down payments are a thing of the past. Talking with those who have recently been through the process, visiting real estate websites like ours, or speaking with a local Realtor for information (such as my Team) are good ways to do your research. Remember, the home buying process varies slightly from state to state and thus you should avoid relying solely on an out-of-state relative’s advice. 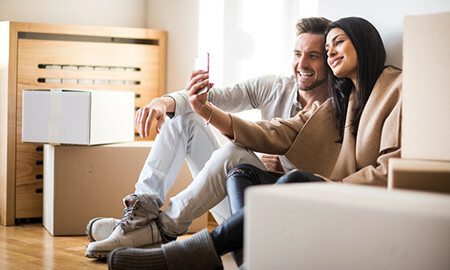 One of the first things a first-time buyer should do before beginning the process is to get a good financial picture in order. Calculating how much home you can afford, ie. a home buying budget, will save you from surprises later in the process. Both real estate agents and lenders can help you gain an understanding of how a home is financed, help you determine if you qualify for financing to buy a home and if so, assist you in determining how much home you can afford. Banks generally insist that: 1) your monthly housing costs, including mortgage principal and interest, property taxes, homeowner’s insurance, and private mortgage insurance, should equal no more than 28 percent of your gross monthly income; and 2) that sum plus your minimum monthly payment on any long term debts should equal no more than 36 percent of your gross income. The rule of thumb here is to aim for a home that costs about two-and-a-half times your gross annual salary. Home buyers should use this only as a general guide, though. Many factors can change that equation. If you have significant credit card debt or other financial obligations like alimony or even an expensive hobby, then you may need to set your sights lower. Don’t forget to review your credit reports from the three top credit scoring companies (you can do this free of charge, once a year at http://www.annualcreditreport.com). You’d be surprised how many people think they have good credit, only to find out that there are inaccuracies on their credit report. Reviewing your credit reports before making an appointment to meet with a lender will allow you to clear up any misreportings or mistakes, however, most lenders can assist with this and can advise you on which steps to take to improve your score prior to actually applying for financing. (for tips on improving your credit score please read my blogs on this subject). Click here for information on Buying on Credit and Understanding Credit Scores. There are four crucial financial elements to be aware of when buying a home: mortgage pre-approval, down payment, mortgage options and closing costs. Investigate the costs for each of these elements and make sure to always get comparison offers from lenders. You will also need to raise cash for the down payment and closing costs. Lenders ideally like to see a down payment equal to 20 percent of the home’s total purchase price. If you can put down more than that, the lender may be willing to approve a larger loan. If you have less, you have the option of doing an 80-20 loan (or a 80-15 loan, that is a 1st or primary loan equal to 80% of the purchase price, and a second loan equal to 20% or 15% of that value). If you have a great credit score you might be eligible for 100% financing however, in this case you will have to pay for Private Mortgage Insurance (PMI), this protects the bank in case you fail to make payments. PMI adds about 0.5 percent of the total loan amount to your mortgage payments for the year. So if you finance $100,000 your PMI will cost $500 annually. PMI will be removed or cancelled when your loan is paid down to 80% of it’s value (appreciation is also a factor here). Not only do first-time buyers need to be informed about the home buying process and requirements, it is also crucial to audit needs and wants before beginning the process. Determine parameters ahead of time and make sure you know the difference between what you need in a home and what you want. Many first-timers misinterpret a want as a need and as a result dismiss homes that perfectly fit their needs during their search. Examples of needs include; number of bedrooms, baths and garage stalls, adaptation for the handicapped or school proximity. Examples of wants include stainless steel appliances or wood floors. Buying a home is always a compromise between what you want, what you need, and what you can afford. Click here for more information on How to Choose a Home, Choosing Between New vs. Existing Homes, How to Choose a Neighborhood. Having good representation in your corner is important, and one of the signs of good representation is that they ask you numerous questions. But what kind of questions should you ask them? When you meet with potential Realtors, lenders make sure to spend at least 15-30 minutes discussing what to expect when you’re buying a home. If you decide to work with a Real Estate Agent or Realtor (while the terms are often used interchangeably, there is a difference), we strongly encourage you to do so and while we are definitely biased our service is free to you as sellers pay the real estate commissions, not buyers. Remember, the listing agent works for the seller and represents the seller’s interests which in most instances is to sell the home for the most money possible. Your buyer’s agent works exclusively for you and represents your interest which in most cases is to help you secure the property for the least money possible and under the terms that are most beneficial and protective of you. When selecting a Realtor to work with you’ll want to question them on their experience, are they a full or part-time agent, how long they’ve you been in the business and how many homes do they typically sell per year? What areas and price points are you most active in? What kind of disclosures are sellers required to give buyers in your area? Who does the title search? What types of home inspections are standard in your area? How much can you expect to pay for closing costs? There are various types of mortgage products out there; how do you know which is the best one for you? There is an abundance of online resources to help you determine the right questions to ask. Remember, don’t be shy. You should always demand a full and complete explanation from any professional working on your behalf. With all the details that are involved with buying your first home, simple problems often seem like bigger ones when you over-react. Remember to keep a cool head and be patient with the process. Unexpected events can move your closing date or add extra steps. Expect that this can happen going in and you’ll save yourself undue stress. Even though you have a closing date, there are many factors that may cause that date to get pushed back, it’s important to be flexible, remain calm and remember, it all will get done, just perhaps not on the timeline you initially planned. Once you decide to buy a home, particularly if it’s your first, it’s easy to let emotions overwhelm you. Take a deep breath and realize that becoming a homeowner is not an overnight process and by taking all the necessary steps, you will limit any potential regrets. There are no absolute time-frames for buying a home, some buyers find their “perfect home” the first day, for others it may take several weeks or months. By being prepared, doing your research, talking with builders, lenders and Realtors about what to expect and what you need, you can expedite the process, but don’t rush it. For example, never shortcut the inspection process. You may save a relatively small amount of money upfront, but you run the very real risk of not exposing potentially expensive defects in the property. Always hire an experienced professional for inspection; asking a relative with limited experience to conduct your inspection can be as risky as skipping the inspection process completely. Many first-time buyers make the mistake of thinking that if they look long enough, they will find a home that is 100 percent perfect for them. With the thousands of possibilities in home design, location, amenities, cosmetic factors, neighborhood features, neighbors themselves, etc., this is a pretty unrealistic expectation. What is more common is that buyers will pass on a home that met 90 percent or more of their requirements only to later realize that the “perfect home” doesn’t exist at which point they decide they would like to reconsider or often purchase a property they previously passed on. Sometimes these buyers get lucky and the home in question is still available, however, in most instances they find the home has in fact been sold. It’s important to know that while being flexible, it’s okay to have a fall-back plan. Be prepared to have a Plan B, such as getting started with your search a bit earlier or renting a bit longer if you don’t find what you’re looking for right away. Take your time in deciding what you want, what you are willing to give up (Needs vs Wants), and to find a house that meets as many of your needs and wants as possible. Knowing you have other options will relieve the pressure to make a decision.